As a teacher, mom, and direct sales business owner for the past 10 years, it was always a passion of mine to to provide quality gifts for the people I love. Whether it was giving an awesome “end of the year” gift for my daughters teacher, or a thank you gift for a great client, I would get wrapped up in the event of gift giving. Paying attention to even the most minute detail, from the selection of the gift, how the person would react, down to the presentation. Then in late 2010, early 2011, my younger sister came to me with a problem. She had been struggling in her management position, having passed all of her colleagues in a promotion. She needed help creating an atmosphere of success in her recruiting firm, and came to me for advice. Having had extensive experience in my direct sales business working with hundreds people, teams, and group dynamics I put together an effective incentive and motivation program for her. The program helped my sister create the environment she wanted and she was blown away by the results! Thus, Premier Gift Solutions was born! From that experience, I branched out to helping individuals and business create a VIP experience for the important people in their world. This could mean something as simple as sending a thank you card, to customizing a gift to make just the right impression. 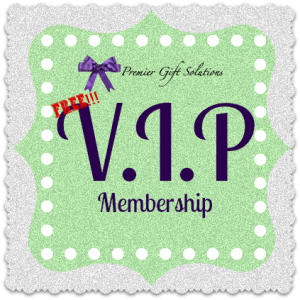 You are always welcome here at Premier Gift Solutions, and considered to be a super star with VIP status! 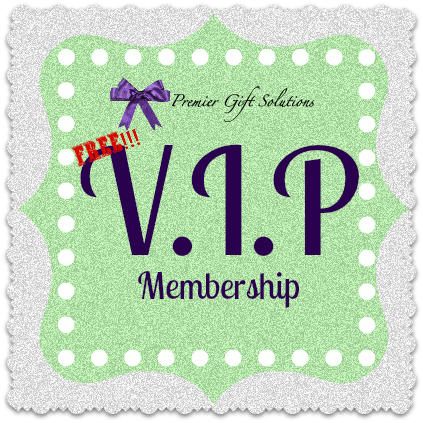 Since you stopped by, go ahead and take advantage of my FREE V.I.P Program! You get a gift on your birthday AND 20% off of your first order! CLICK HERE to begin! There’s just that part of me that loves to create. Being a Music teacher, I have always been somewhat crafty. I really didn’t know how crafty until I was forced to make a basket for a friends baby shower. She ranted and raved so much about it, so I decided to try doing it as a business! This led to many more crafty adventures for me, including bow and jewelry making. My 13 year old has even joined in with me, adding her print and graphic drawings to some of my jewelry designs. Making various baskets, bows, and jewelry items is very therapeutic for me. 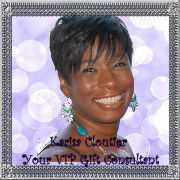 So helping others doesn’t just benefit my customers and their recipients, it’s of great benefit to me as well! All items from Premier Gift Solutions are handmade by me specifically for you! Please reach out to me if you ever have questions or concerns about any of our products. Quality customer service and satisfaction are always my main priority.